Solar project originator ClearGrid is set to announce a partnership with a major developer to source sites for community solar across Massachusetts. ClearGrid's data-driven algorithm sources better sites in half the time, taking a huge bite out of soft costs. 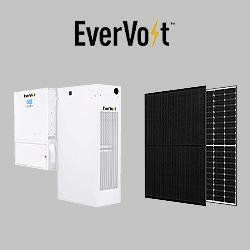 This new service comes at a perfect time to accelerate the booming community solar market in the Northeast and beyond. "We are pleased to start commercial operation of four additional solar projects totaling 8.6 MWp, which brings our total megawatts in operation in Japan close to 15 MWp"
Clenergy, the leading solar solution provider, supplied a 1.7MWdc PV-ezRack SolarTerrace V ground mount system for the diesel displacement solar plant project at Rio Tinto's Weipa bauxite mine in Cape York Peninsula at the northern tip of eastern Australia. Clenergy, the leading solar solution provider, was glad to announce its platinum sponsorship of the only Malaysian solar vehicle team, the Eco Photon UiTM Solar Team, to compete in the 2015 World Solar Challenge. Today (Oct. 19) Assistant Secretary of Energy Dr. David Danielson announced that the team from the Stevens Institute of Technology won the Department of Energy's Solar Decathlon in 2015. Competing in all 10 of the competition's challenges The New Jersey-based Stevens Institute of Technology earned 950.685 points out of a possible 1,000 to win the competition. Last week 1366 Technologies announced that it will build a commercial solar wafer manufacturing facility in Genesee County New York between Buffalo and Rochester. The project represents a $700 million investment in the region and will create roughly 1,000 jobs in the region. Fotopoulos Building Industries, Inc. (FBI), a woman-owned family business with extensive background in commercial roofing and solar sales, and MiaSol� have entered into a Sales Representative Agreement. Fotopoulos Building Industries will sell MiaSol� FLEX modules throughout the state of Nevada and Southern California.